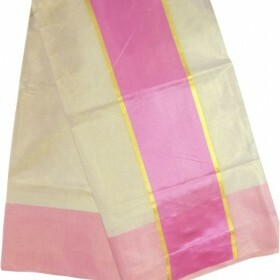 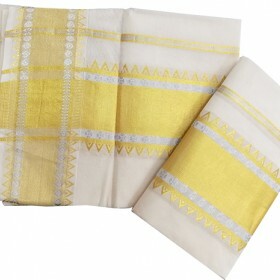 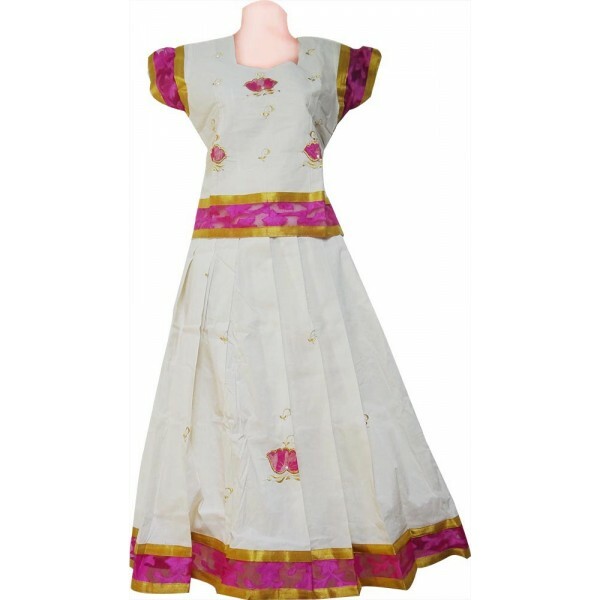 An amazing Kerala kasavu pattu pavadai for little cute princess with off white color having pink net border along with golden kasavu on bottom of the pavadai, blouse and on its hand. 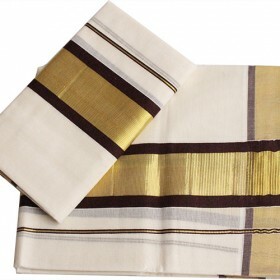 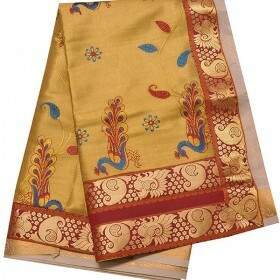 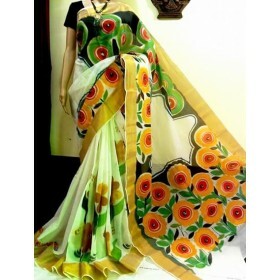 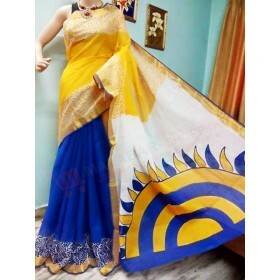 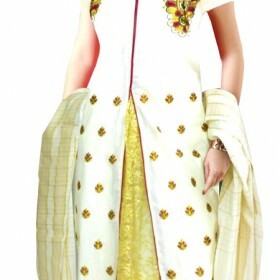 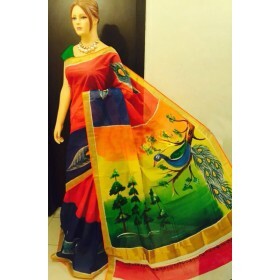 This has net floral patch work and golden thread work on pavadai and blouse makes this exotic. 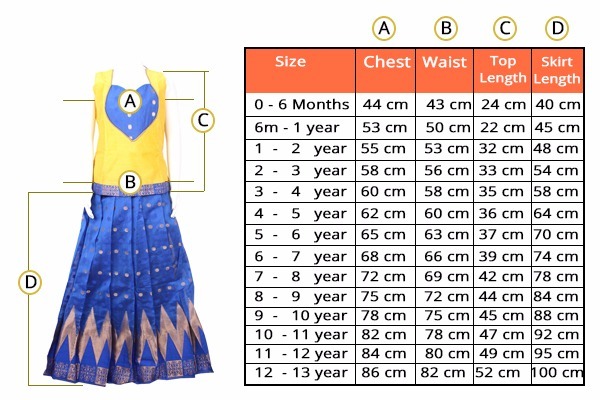 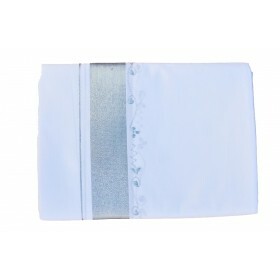 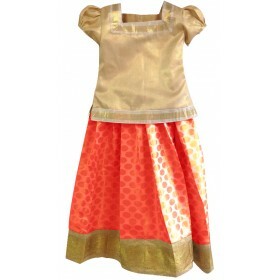 It will be a perfect ethnic wear for any traditional function to make your kids pretty stylish girl.